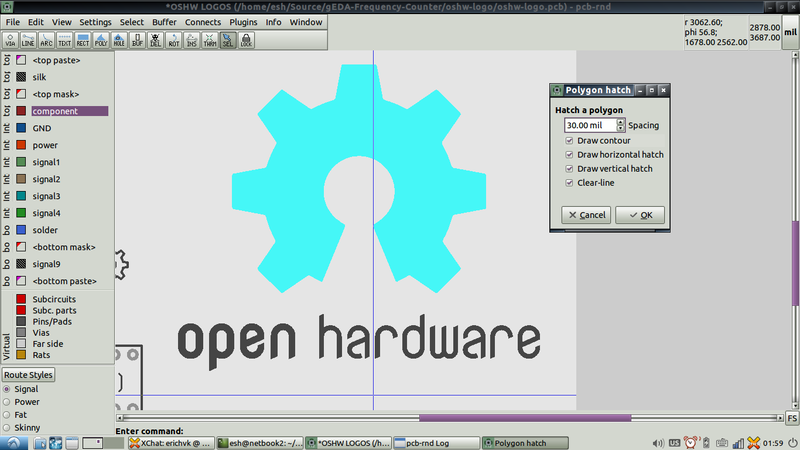 During development of the Protel Autotrax/Easytrax layout format import/export plugin, a separate polygon helper plugin was also developed to facilitate conversion of complex polygons into cross hatched versions. 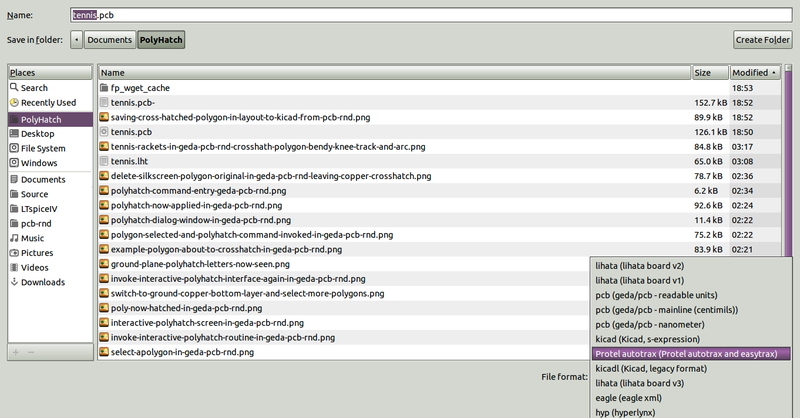 This allowed export of complex Polygons to Protel Autotrax/Easytrax format, which only supports lines and rectangular solid fills. 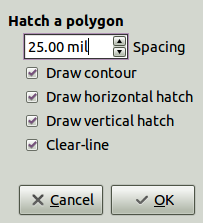 Because the cross hatching routine is just another plugin, the command can be applied to any polygon in a layout, if the need arises. Free fills or copper pours are a more typical target for the PolyHatch cross hatching function. 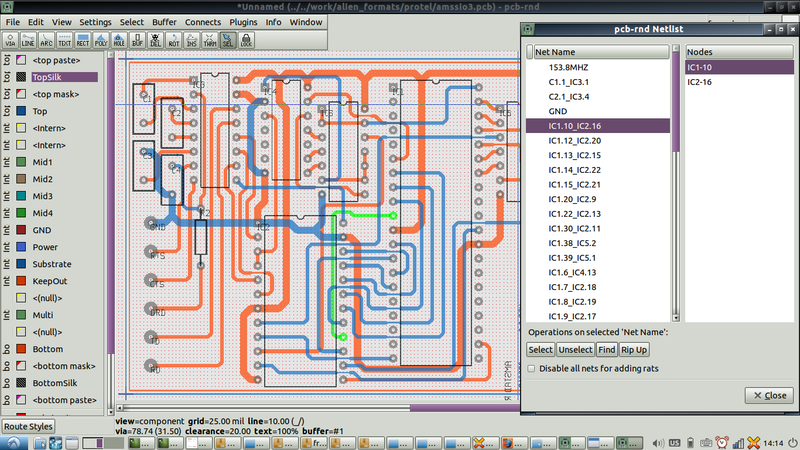 It is worth noting that the "Rubberband" tracks placed with rubber band mode contain arcs, and that these arcs have had their clearances preserved, i.e. 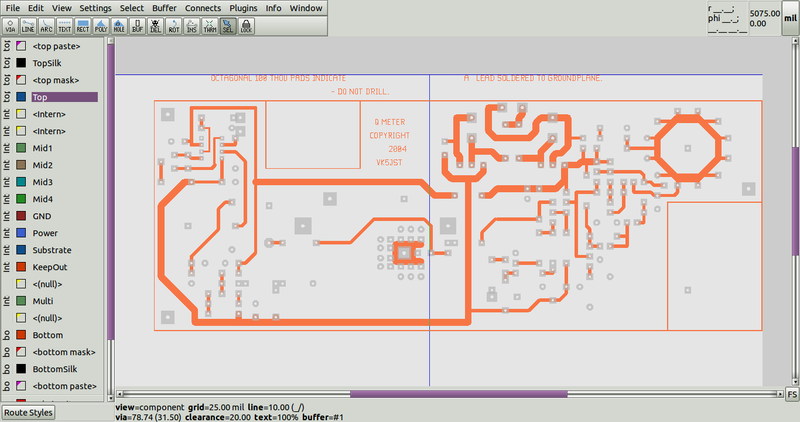 pcb-rnd, like gEDA PCB, supports DRC for arcs on copper layer. 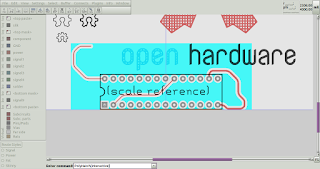 In addition to facilitating export to legacy formats such as Protel Autotrax/Easytrax, the PolyHatch plugin is likely to be useful for creating capacitative sensors on PCB layouts, as well as facilitating more creative designs, i.e. 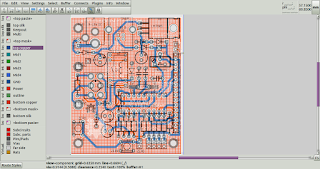 For those using Kicad, and lacking an easy means of crosshatching a polygon for use as a capacitative sensor or to modify transmission line impedance, pcb-rnd can load and export Kicad format layouts, greatly simplifying this task. 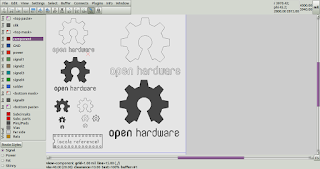 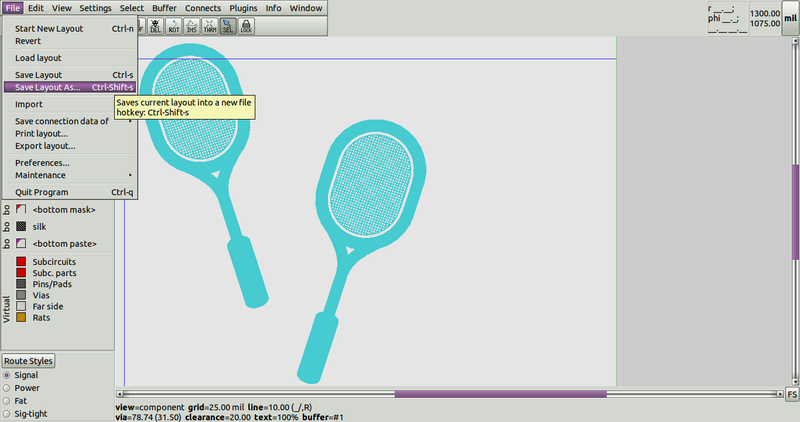 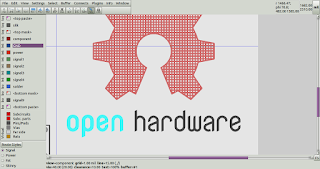 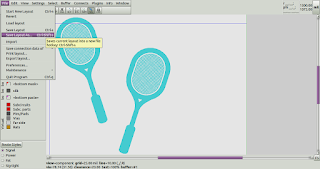 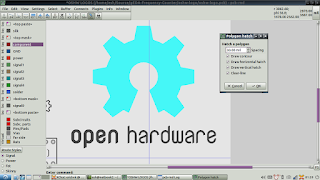 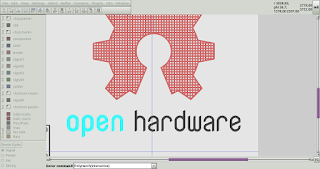 The above tennis racquets can be saved in Kicad s-expression format quite easily. 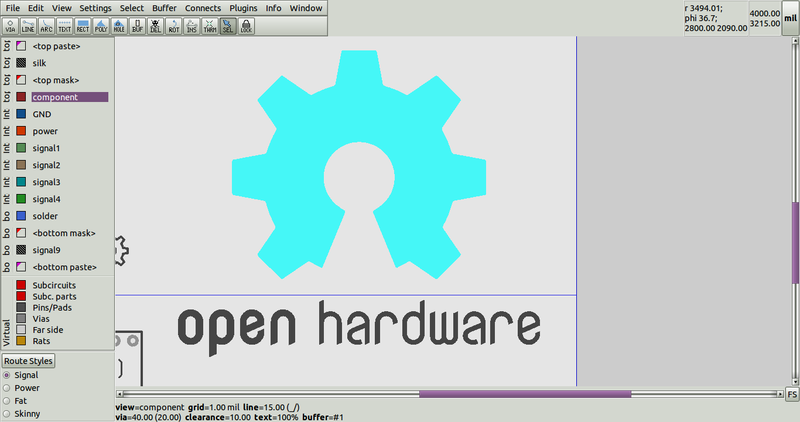 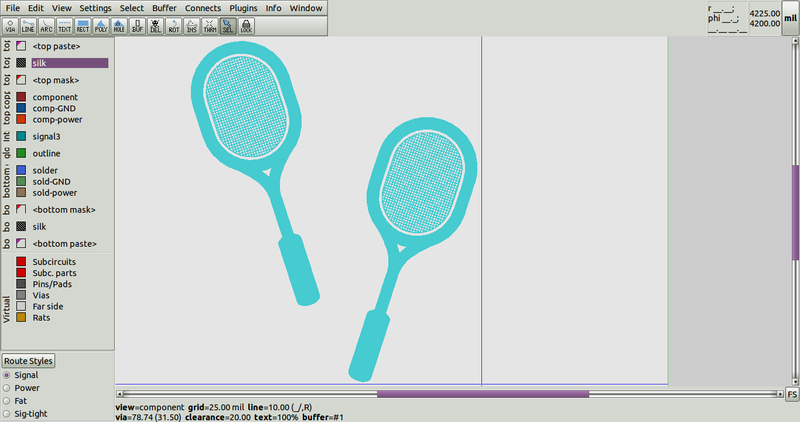 The only caveat is that Kicad does not support arcs on copper, which were used for the racquet frames. 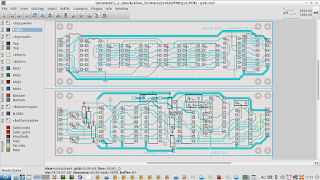 After shifting the racquets to the silk layer (to get around Kicad's limitations with arcs) the layout can be exported with "File:Save As"
An additional import/export module has been developed in the FOSS PCB layout tool pcb-rnd to allow layouts in Protel Autotrax and Protel Easytrax formats to be imported and exported. 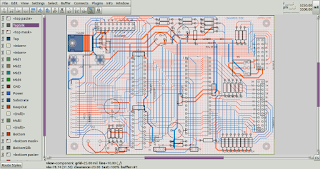 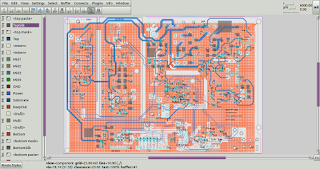 Protel Autotrax and Protel Easytrax were industry standard DOS based PCB design tools in the early 1990s. 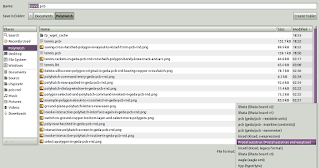 Protel Easytrax was a cut down version of Protel Autotrax. 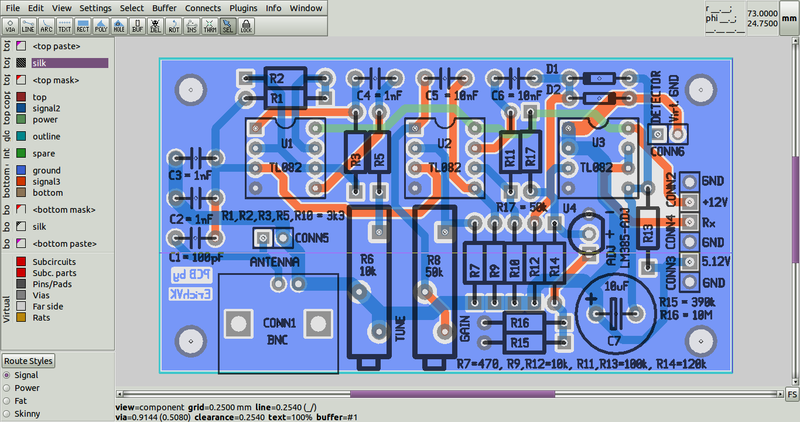 The more capable Protel Autotrax required a dongle to operate. 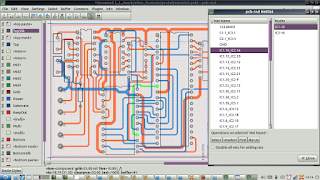 Altium recently released Protel Autotrax as freeware, and it still has something of a following among those familiar with it who are happy to continue using it in a DOS emulator. 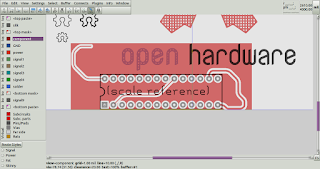 Arguably, those with low end hardware in educational or hackerspace contexts may still find Protel Autotrax quite adequate for PCB design stations, particularly now that subsequent conversion to multiple formats is possible with pcb-rnd. 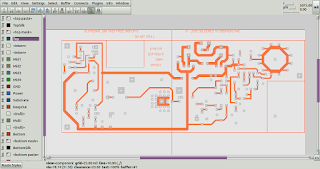 convert old footprints in Protel Autotrax and Easytrax designs for use in more modern tools. Netlists are also imported along with Protel Autotrax and Easytrax design geometry. 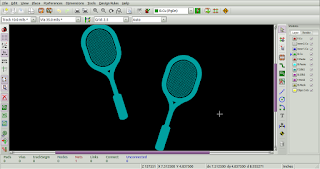 Because Protel Autotrax and Easytrax only support rectangular polygonal copper pours, the exporter will export any complex, non-rectangular polygons in a design as an outline of the islands and holes, and cross hatch the interior. 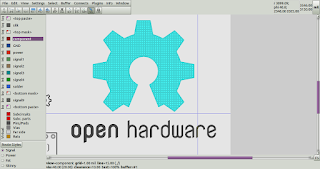 Simple rectangular polygonal pours are however exported as standard Protel Autotrax/Easytrax rectangular "Free Fill" rectangles. 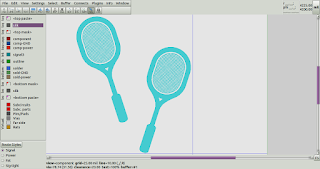 Protel Moiro Targets and Cross Hair targets are not supported on import. 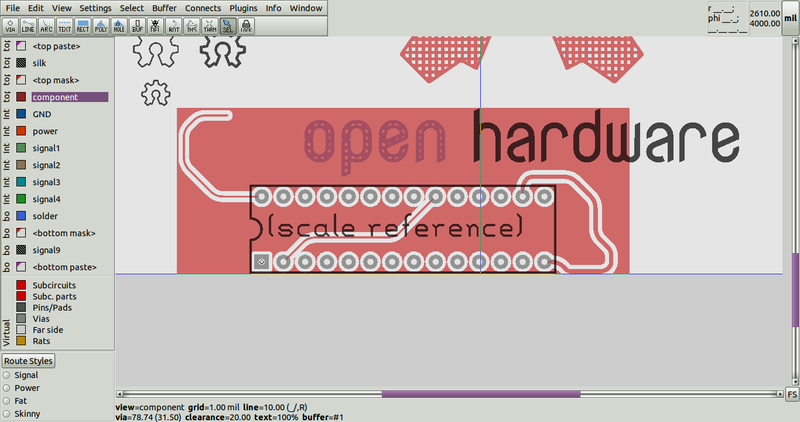 Also, pins and vias with connection/clearance flags for the GND and POWER copper layers are not acted on. 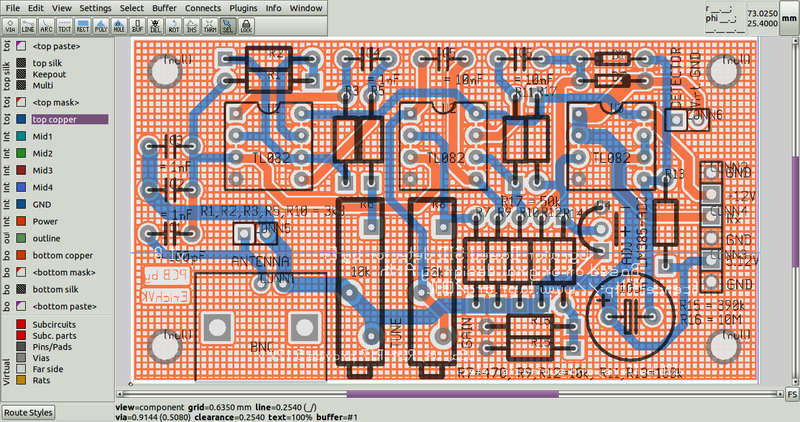 This will not be an issue for any designs which do not have dedicated GND and/or POWER copper layers. 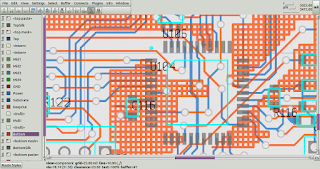 "Multi" and "board" layer elements are combined with the top silk layer during import into pcb-rnd, as they are not explicitly supported as layer types in pcb-rnd. 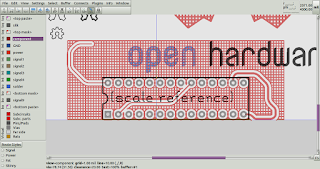 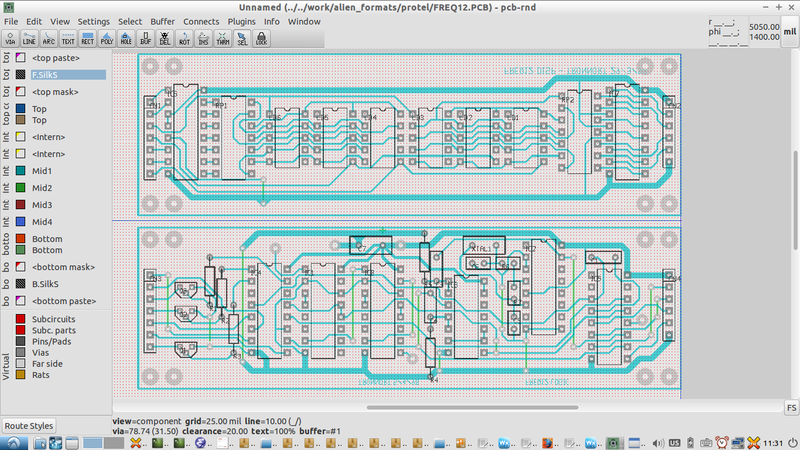 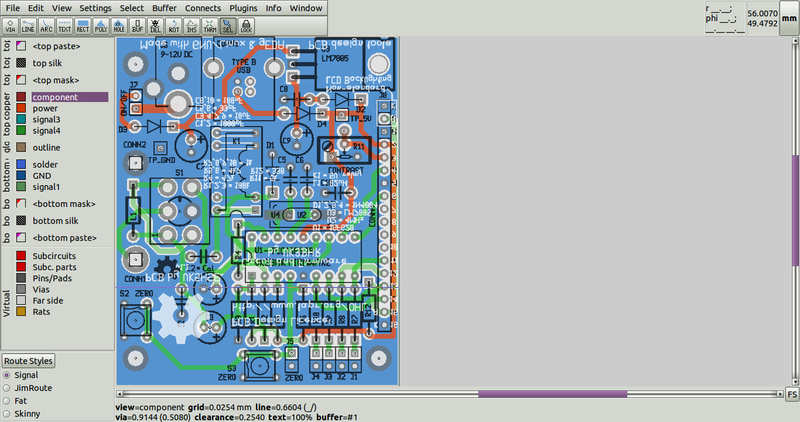 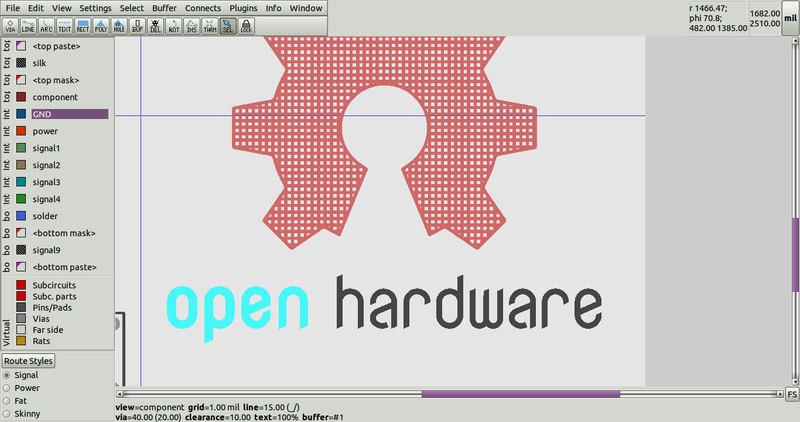 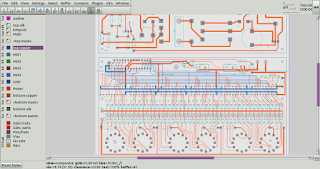 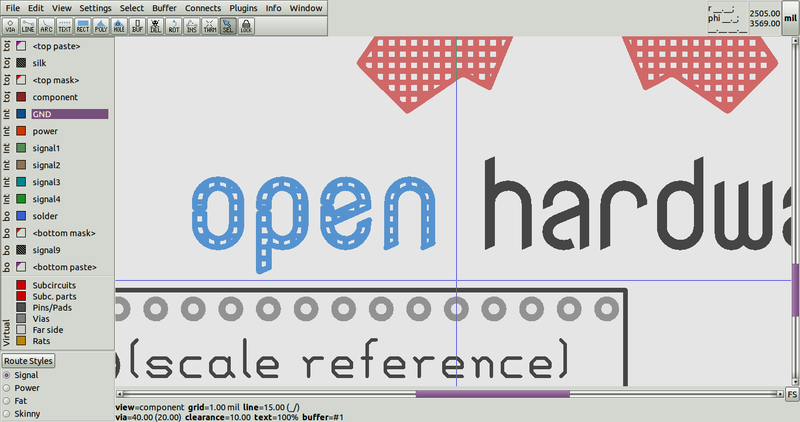 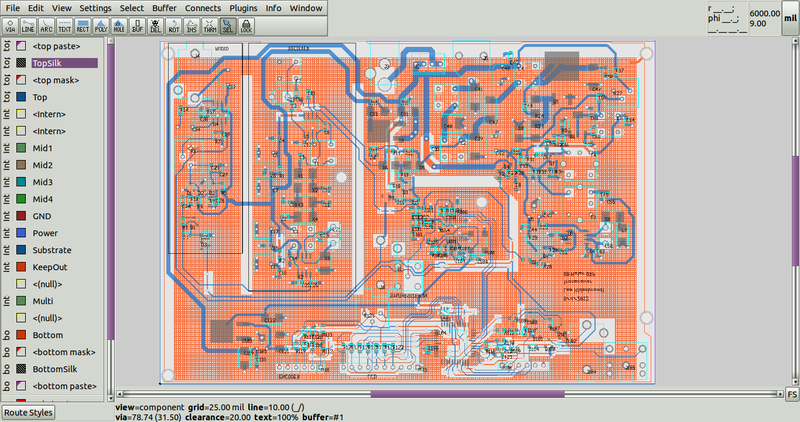 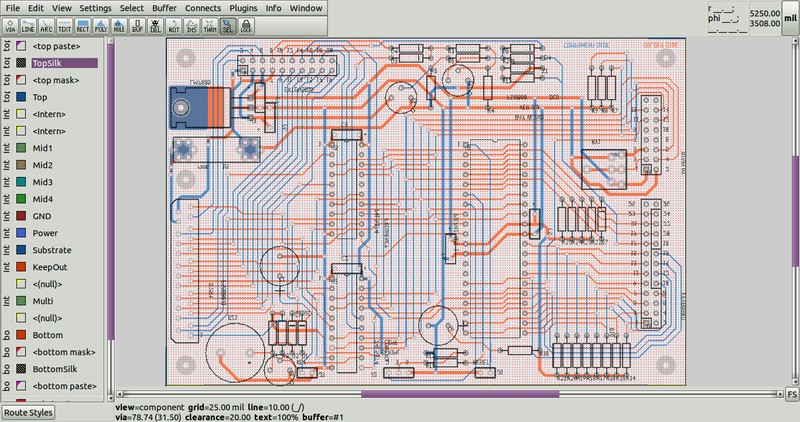 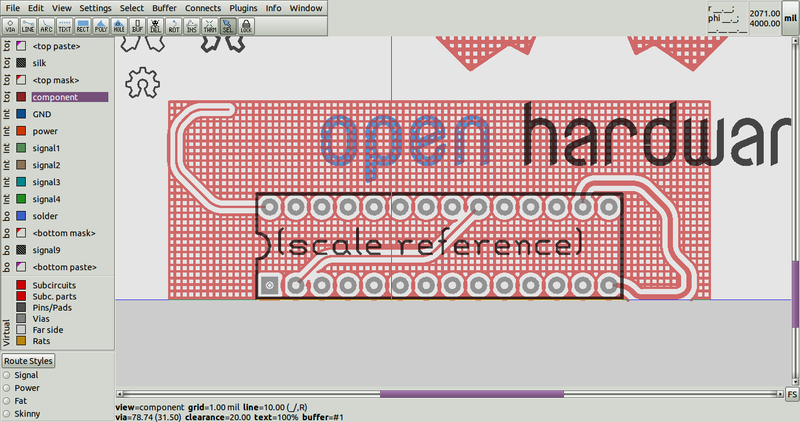 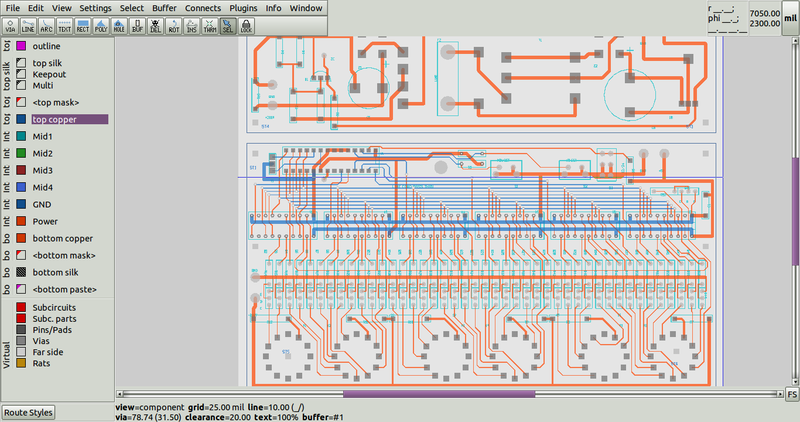 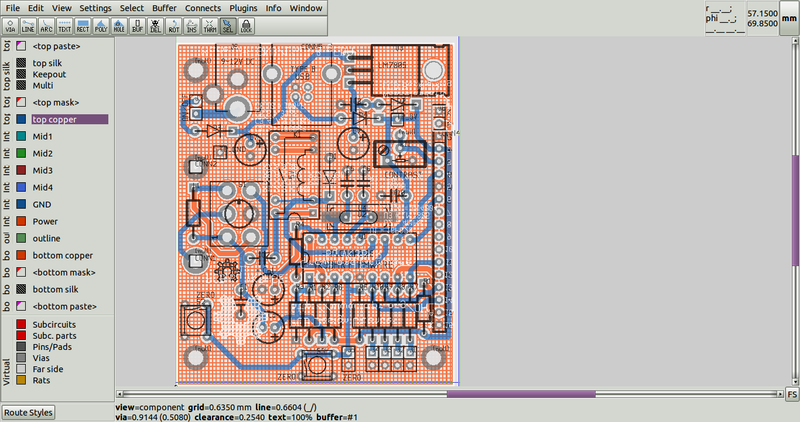 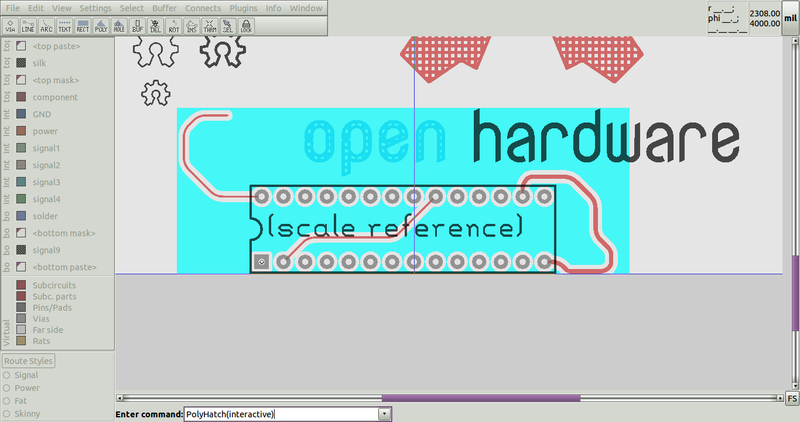 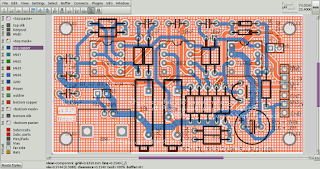 "Keepout", which delineates the board outline and cutouts, is mapped to the outline layer in pcb-rnd. 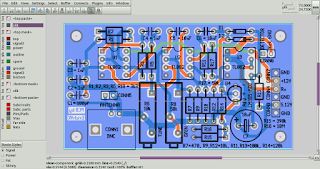 For those keen to implement an importer for some other format, the io_autotrax code would serve as a good template for those keen to give rolling their own a go. 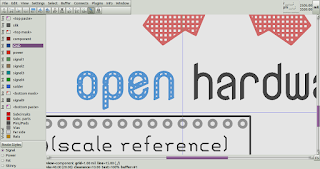 Alternatively, if provided with sufficient, suitable examples and summary information for a given format, we can look at the feasibility of implementing the importer.